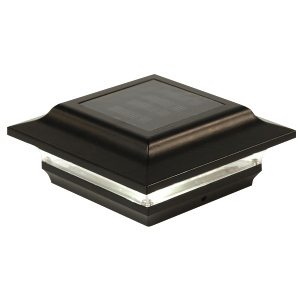 Add lighting to your deck, patio, fence or porch railings with these durable cast aluminum Imperial 4” X 4” or 5" X 5" solar post cap lights with power coated finish in white, black or bronze. 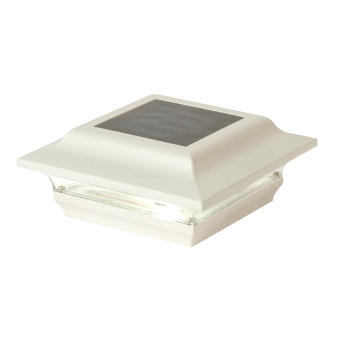 Each solar light is equipped with three high-quality LED to provide a brilliant white light at night up to 10 hours. 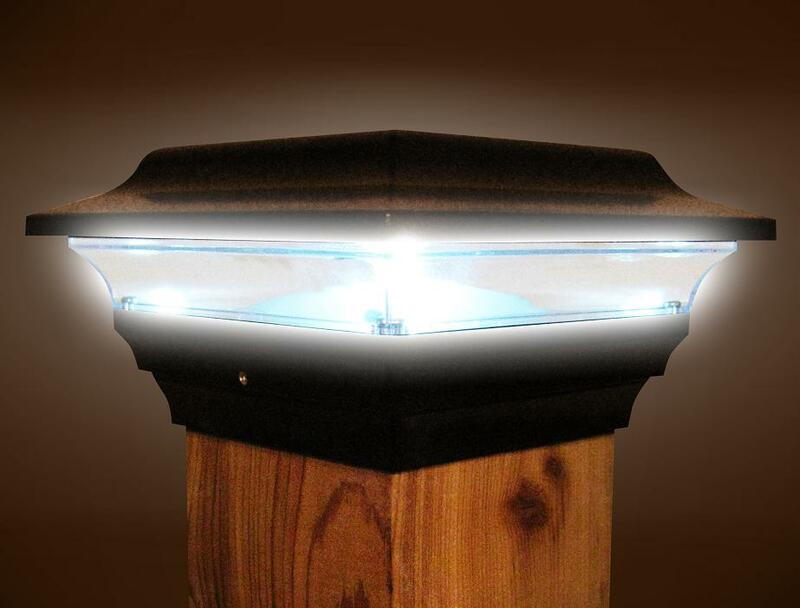 The solar panel converts sunlight into electricity during the day, then when nightfall’s the light will automatically turn on with the electricity stored in the batteries. 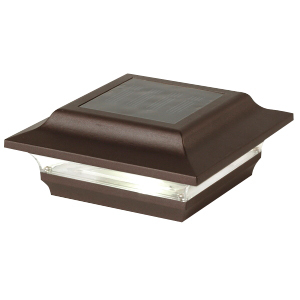 This solar post cap light fits perfectly over a 4"x4" wood post (3.5”x 3.5” adapter included). 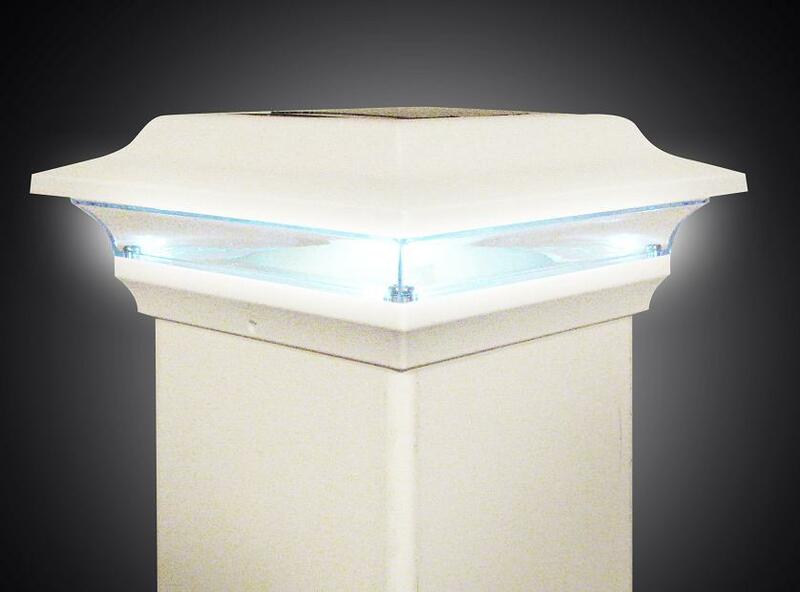 Available in Black, White or Bronze. 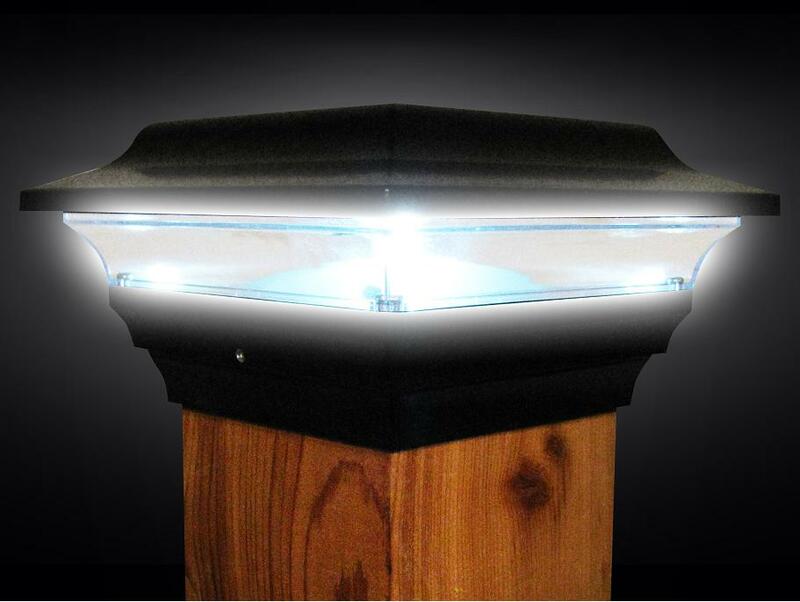 The white or black solar decks lights are now available to fit a 5" X 5" post.